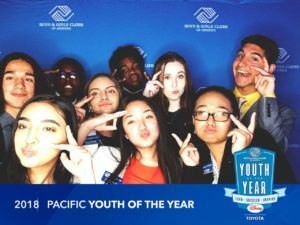 People always ask me, “What’s it like to be the Washington State Youth of the Year,” and honestly, there’s no way words can describe how much it’s impacted my life. The fact that I’m able to represent every Club kid in my state is a thought in itself that’s hard to fathom. Never in my wildest dreams would I have imagined that as a sophomore (now a junior) in high school, I would have this amazing platform to share my story and impact the youth around me. When I heard my name announced as the Washington State Youth of the Year, I was in complete and utter shock. Being a 15 year old kid from a small town with less than 7,000 people, I felt as if the odds were stacked against me. State showed me that no matter who you are or where you come from, there is always great opportunity waiting to be captured. Back at the state level, I met some amazing youth who represented their county and had some amazing stories. I had the privilege of rooming with Khairi, an easy going, kind hearted kid who knew how to light up a room with his laughter and personality. Kiana, who I knew prior to state and continued to bond over frozen yogurt and singing (screaming) old R&B classics in the limo along with Lily, Kayla and Yana. I also met Katie, who is one of the sweetest, down to earth people I have ever met. Coincidentally, she knew one of my best friends from Prosser, and we hit it off right away. It’s people like them that made me hopeful for the upcoming youth who will become the next Youth of the Year. After winning state, I attended several meetings and conferences across my area to practice my speech and freshen up for regionals. After critiquing my speech and receiving advice from different community members, it was time to head to California for regionals. When I got there, I met youth ranging from Hawaii, Utah, and even Alaska! I first talked to Shalain, the Hawaii Youth of the Year. Her bubbly personality and sense of humor made me laugh like no other and put me at ease no matter how nerve racking a situation could be. Ariana, or “Ari,” was the California Youth of the Year, and I don’t think I’ve ever met someone with as much energy as her. Her ability to light up any room she went in is a quality I will never forget about her. I remember talking to Natalie, the Nevada Youth of the Year, about Grey’s Anatomy (of course, me being from Washington) and how our Boys & Girls Clubs were vastly different from each other, but still held the same values and beliefs all Clubs stand for — the mission statement. 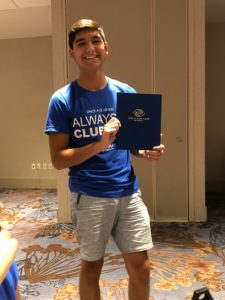 For those of you who may not know, the Boys & Girls Clubs mission statement is, “To empower all youth, especially those who need us most, to reach their full potential as productive, caring, responsible citizens.” That statement was one I repeated over and over in my head throughout regionals to remember why I was there. Before I left, the kids from my branch made me bracelets as a token of gratitude, and I wore those bracelets everywhere. It gave me confidence knowing that win or lose, they would always be there for me. In California, myself and the 8 other youth went to Disney studios and met with the ambassador from Disney and even got a tour of the set of the show ‘Black-ish’! During the evening, Ivan (Idaho Youth of the Year), Jeniya (Utah Youth of the Year) and Simeon (Alaska Youth of the Year) decided to be adventurous and go to Santa Monica Pier with our advisors. The “competition” itself was a bit intimidating but a lot of fun. I put quotes around the word competition because personally, I see the program as a growing process more than anything. It’s a chance for youth like myself to go outside of their comfort zones and showcase who they are and what they stand for with a positive environment surrounding them. After hours of judging and intense UNO matches, it was finally over and we could all relax. Before the gala, we were able to connect with different representatives from companies like Disney, Toyota and T-Mobile and even met Anthony Anderson! Picture after picture and handshake after handshake, it was time to give our speeches to the audience and find out who the regional Youth of the Year would be. Moments before they announced the winner, my heart was beating out of my chest and it felt like forever until a name was announced. When I heard Jeniya’s name announced, it was a bittersweet moment for me. I was disappointed it wasn’t me, but as I said before, it’s all about the opportunity to grow and do crazy, amazing things teenagers usually don’t get a chance to do. That night was our final night together, so we celebrated with an after party of pizza and more UNO matches to debrief (which was more intense than anything after Shalain and Jeniya decided to team up against me). Leaving was probably the hardest things about the whole regional experience. I wanted to be with them for as long as I possibly could, but I was grateful to reunite with them the following week at the Advanced Leaders Institute, or ALI. ALI was the experience of a lifetime that I will cherish forever. I was able to experience a completely new culture I have never been exposed to while also meeting amazing youth from all across the country. At ALI, I was able to reunite with Katie, the Washington State Military YOY, and all my Pacific Region friends, so it was definitely a lot easier to connect and feel comfortable with the people around me. 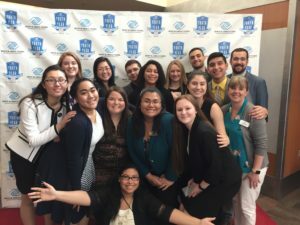 With my PAC region, we were able to come up with ways to make troubled teens feel more connected with society and find their purpose within a community. I was also able to meet Carlos Polanco, the 2018 National Youth of the Year, and talk to him about his story and how he has made an impact with the platform he’s been given. The Boys & Girls Clubs Youth of the Year program has been the best thing I’ve ever been a part of. I’m so blessed and honored to have the platform I do to share my story with thousands of people. 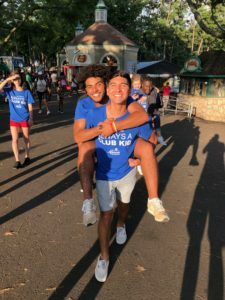 From youth, club staff, and even members of the Walt Disney Company, I’m able showcase how the Boys & Girls Club has shaped me into the person I am today. I am eternally grateful for the love, support, and dedication the Club has given me since I joined as a fifth grader. Even though I won’t be a Club kid forever, I will always be a Club kid in my heart.